Are you feeling an increased sensitivity to heat and cold in your mouth? Whether it’s coming from a tooth or your gums, pain is usually a sign of infection, which, left untreated, could develop into something much worse. Thankfully, with help from the team at our family-friendly dental clinic, it’s easy to stay on top of your family’s oral health care needs. For years, our staff has helped locals detect and treat severe oral infections. These types of infections often require a professional root canal treatment; in Middleboro, MA, you can secure the gentle car you need at our office. Reach out today to schedule your appointment – we recommend you do so sooner, rather than later, to ensure your infection doesn’t worsen and become more painful.Root canal treatment — also called endodontics (“endo” – inside, “dont” – tooth) — is a set of specialized procedures designed to treat problems of the soft pulp (nerve) tissue inside the tooth. While some mistakenly think of it as an unusually painful treatment, in most cases the procedure is no more uncomfortable than getting a filling. It's actually one of the most effective ways of relieving some kinds of tooth pain. Understanding the term “root canal” is important if you are told you need one. 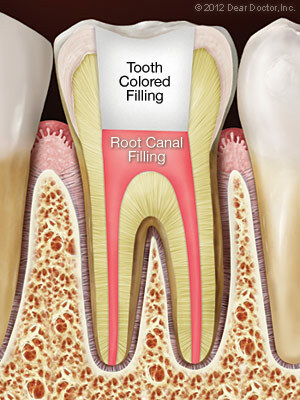 “Root canal” refers to the chamber within your tooth that is home to blood vessels, nerves, and dental pulp. 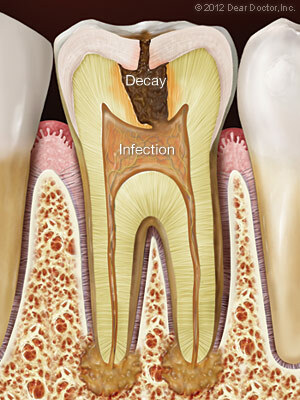 When an infection starts in your tooth, it can quickly become severe, leading to the degradation of that chamber. 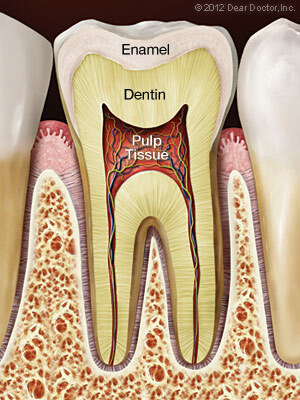 The root of the tooth turns to pulp and becomes inflamed, causing pain throughout that area in your mouth. Generally, the only way to remedy this situation is with a root canal treatment from a dentist. A dentist from our clinic has the experience and qualifications needed to cleanse your tooth’s root canal of all dangerous and pain-causing infection. You can rely on our dental practice for pain-free root canal procedure. The pain you are experiencing now is the pain associated with the infection itself. The longer you wait to seek professional assistance with your infection, the more likely you are to experience pain. Get in touch with our clinic as soon as you notice signs of an infection to avoid discomfort.